First off, we want to say welcome and thank you for giving us an opportunity to service your needs. We are proud to say that we are a top-ranked Day Spa & Salon. Shelley’s Day Spa & Salon is the industry leader and continues to set new benchmarks and standards within the Health and Beauty Industry. Our mission is to keep the independent salon alive by providing business consulting services to all facets of the beauty industry; including salons & day spas, cosmetology schools, and distributors to promote growth and prosperity. So, what does this mean to you? All good stuff of course. Being a Day Spa & Salon means that we are highly trained professionals that are performing at the peak of their specialty and will continue to receive ongoing education and training. It means, our foundation is built upon striving to create value for our clients and delivering exceptional service to our employees, and salon guests. 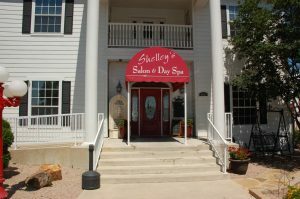 The bottom line, whether you’re getting a massage, HydraFacial, or a fabulous haircut and color, you are in very good hands and should expect nothing less than the highest quality service from the very moment you step into Shelley’s Day Spa & Salon. I’m sure you have additional questions about all the services we offer, so please look through our website. If you have questions, would like to make an appointment to tour Shelley’s, or you like what you see and want to make a service appointment, contact us today!